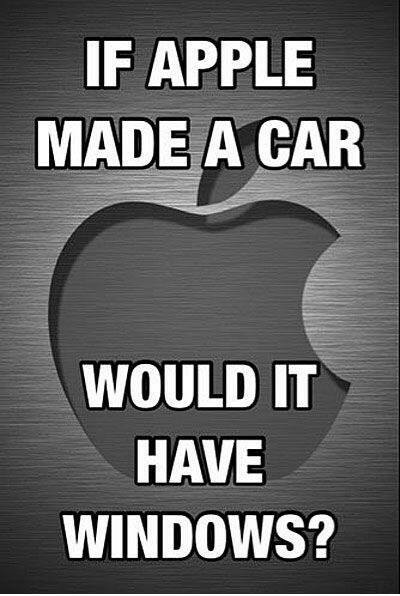 IF APPLE MADE A CAR WOULD IT HAVE WINDOWS? - ProudMummy.com the Web's Community for Mums. Home » Memes » OMG » IF APPLE MADE A CAR WOULD IT HAVE WINDOWS?